Do Terra chips count as vegetables? Technically, yes. These would constitute a serving of vegetables. But before you replace that side salad with a bag of veggie chips, let’s think about what eating vegetables offers us. Fresh vegetables are rich in nutrients but relatively low in calories. Because they are relatively high in water, they also take up a lot of space on your plate and in your stomach–and this can help you fill up for fewer calories. 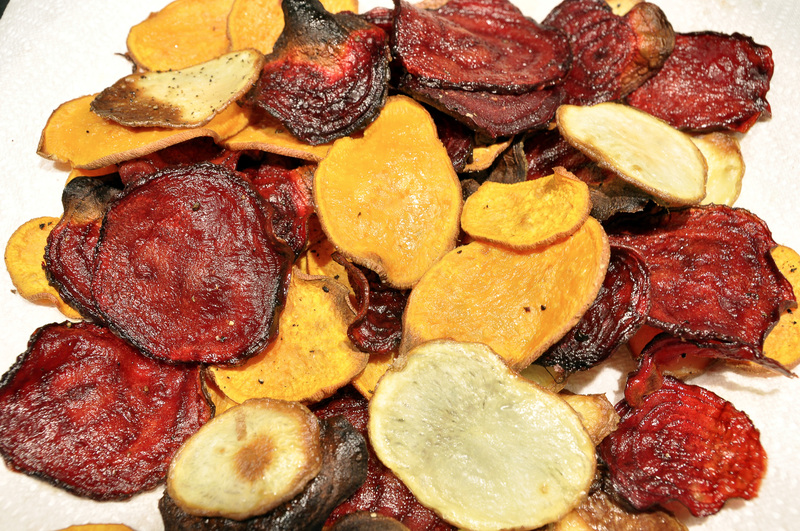 However, when you dehydrate vegetables and then fry them in oil, you end up with something that’s not nearly as filling–and much higher in calories. Compared to a bag of Cheetohs, a bag of Terra chips seems like a nutritional upgrade–but I’d eat them with the same degree of restraint as you would any other salty snack food. Given up on losing weight? Trend Alert: What’s the deal with ginger shots?